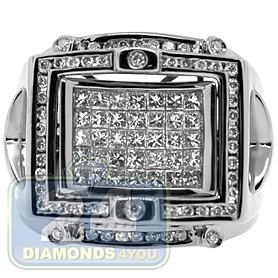 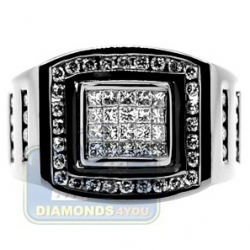 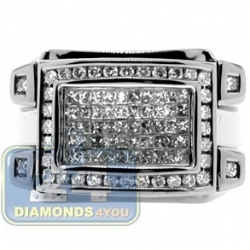 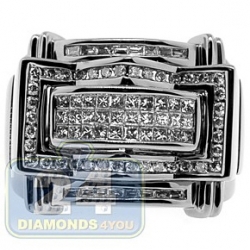 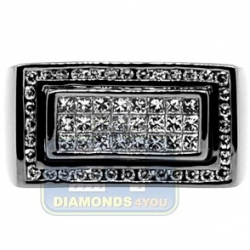 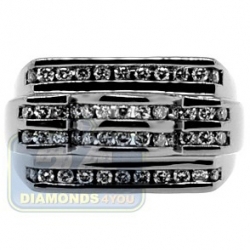 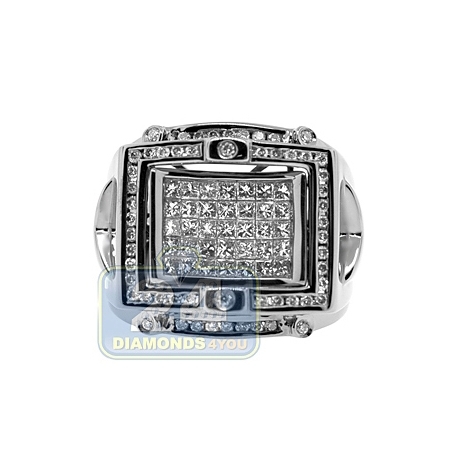 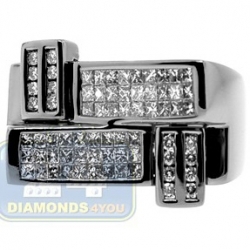 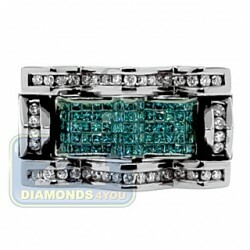 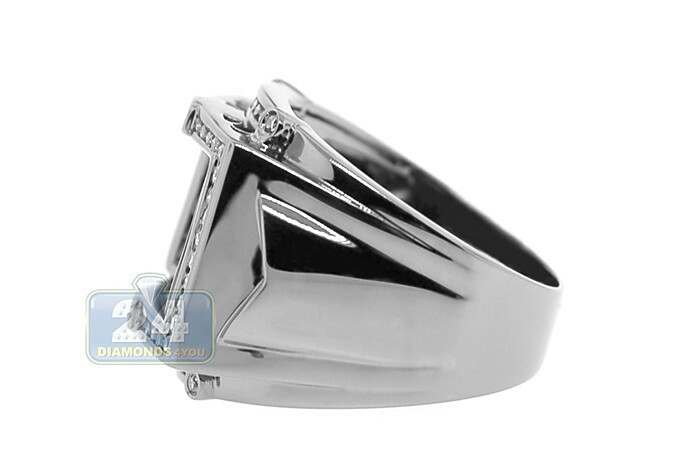 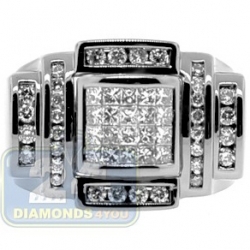 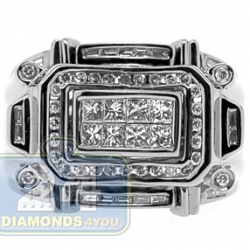 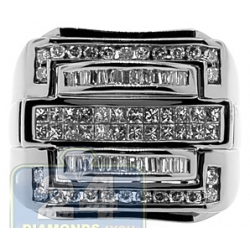 This exciting 14k white gold ring has a compelling design that is breathtaking! 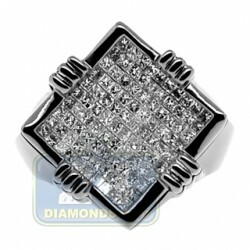 Alluring centerpiece is invisibly set with 1.03 ct total weight princess cut diamonds and framed by shiny 0.47 ct total weight round cut stones. 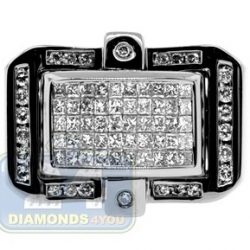 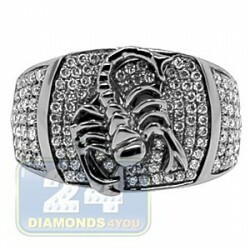 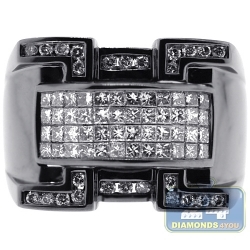 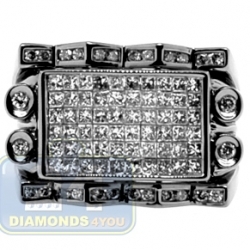 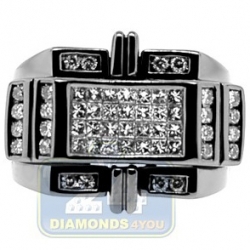 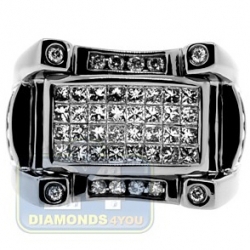 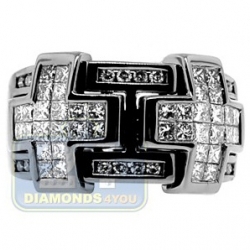 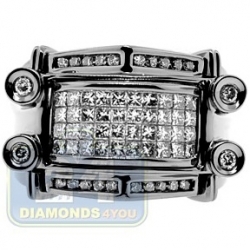 This handsome combination of stunning brilliants and black rhodium finish makes this jewelry piece unforgettable!